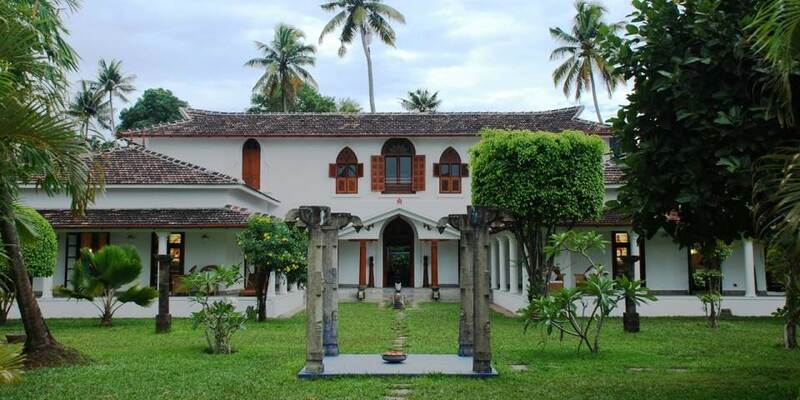 A one and a half hour drive from Cochin and situated on the shores of Lake Vembanad, Purity is a colonial style villa set in spacious and verdant gardens, with the Allepey backwaters making a stunning backdrop. Here there are no set meal times, guests may eat where and when they wish, with the ultimate romantic dinner location being by the side of the lake. The chef at Purity will create delicious menus, based on the recipes from its sister property, Malabar House, with the cuisine focusing on local Indian, Oriental and Mediterranean dishes. Purity has its own electric propelled traditional “snake boat”, just perfect for exploring the lakes, canals and waterways. 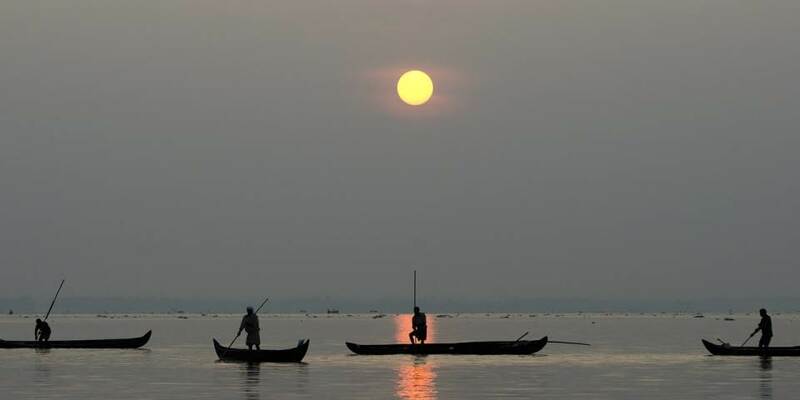 If that is not exciting enough, why not take a speedboat ride around the lake and visit Kumarakom. Away from the lake it is possible to go for walks in the surrounding countryside through the local villages, maybe stopping to visit a coir factory. The man made beach on the edge of the lake is the perfect spot from which to watch life unfold, or the swimming pool and shady verandahs make an alternative place to relax. For those who wish to be pampered there is a small spa, which offers exclusive KAMA Ayurveda therapies in a beautiful setting. Two treatment rooms and a dedicated spa menu offer an intimate and relaxing experience. Purity is the perfect, peaceful place in which to slow down and switch off. 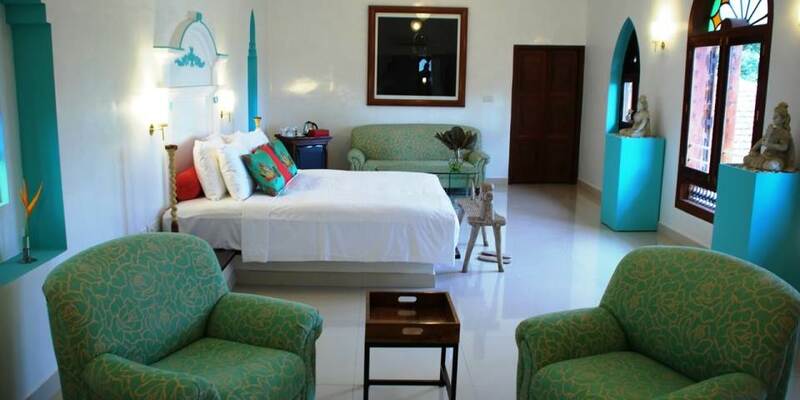 With just 4 rooms and 2 suites Purity is perfect for families or couples who are seeking peace and tranquility. The deluxe rooms, all situated on the ground floor are individually decorated in shades of turquoise, fuchsia and red which is the perfect contrast to the whitewash and wood. 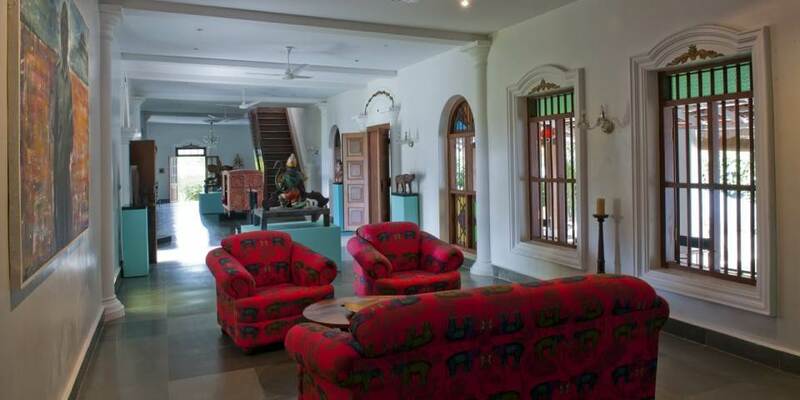 Furnished with antiques and with state of the art bathrooms, they all open on to a verandah and the garden. 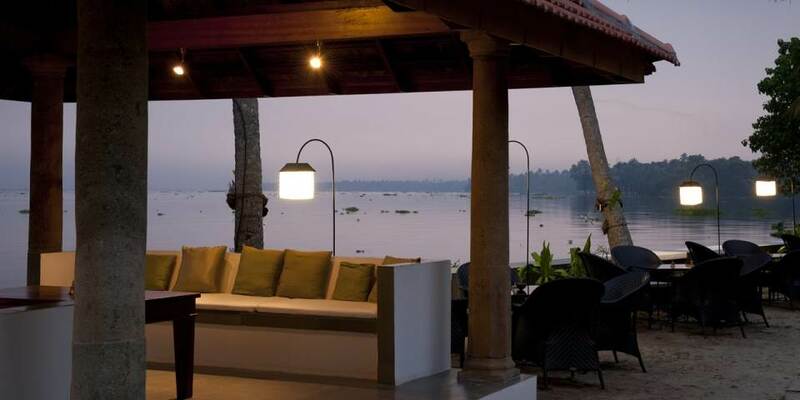 The Vembanad Suite covers the whole of the first floor and has a private roof terrace, which offers a beautiful view over the garden and lake. 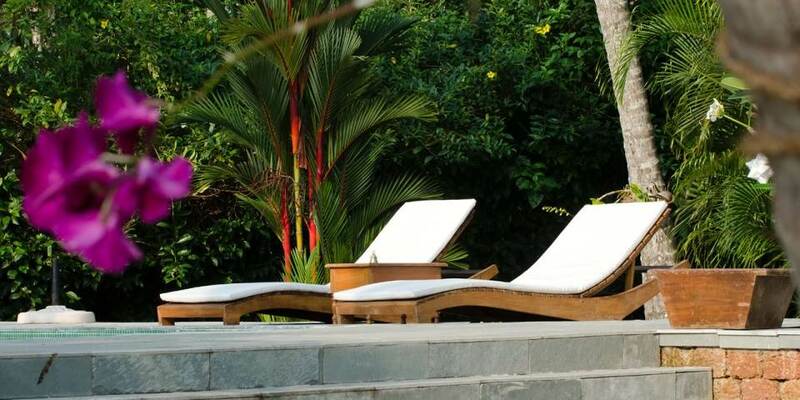 The Garden Suite, set back behind the pool has its own private garden and is ideal for families.